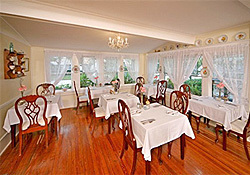 Inn at the Bay Bed and Breakfast was built in 1910 and completely restored in 2001 and is truly a Saint Petersburg accommodations gem. You will be within easy walking distance to fine dining, shopping, art galleries, beaches and museums. Rooms offer king and queen size feather beds with luxurious, allergy free feather bedding, cable TV, in-room phones, free high speed Internet access, luxurious robes and private baths, most with double whirlpool tubs. 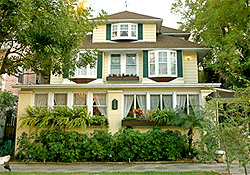 Enjoy your Florida Honeymoon, romance getaway escape or romantic Florida vacation at our Inn at the Bay Bed and Breakfast. Business travelers have all the necessary amenities. Convenient to Tampa, Clearwater, Tampa International Airport (TPA) and St Petersburg/Clearwater Airport (PIE) and, of course, downtown St. Pete.Voted best breakfast in the South East by Inn Traveler Magazine. Full Hot Breakfast served at your leisure. 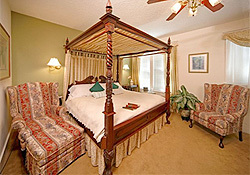 Luxurious robes in all king and whirlpool rooms. Ironing boards, irons and blow dryers in each room.